The Questbridge scholarship is designed to help exceptionally bright students in low-income families have an affordable way to get a great education. Winners of the Questbridge Scholarship get their tuition paid for in full, but still have to pay for books and supplies. This means that tuition, room and board, and other expenses are all paid for by Questbridge. The winners sign a contract legally binding them to the school that they have been matched with. This year’s Questbridge pool was very competitive, with over 15,000 applicants. The scholarship application opens over the summer and allows the applicants to get a head start on their college application process. Students begin their journey by applying directly to Questbridge. This year, the deadline for the first stage of applications was Sept. 27. In the first stage, applicants list the schools that they want to get matched with and fill out applications for the Questbridge organization for their eligibility. By Oct. 19, they were informed of whether or not they were finalists. From there, they had until Nov. 1 to fill out the forms required by the schools to which they were applying. Questbridge has many college partners, including Northwestern, Brown, Princeton, University of Chicago, Duke, Stanford, Pomona, and Yale. The number of schools the applicants applied to were limited only by their own interests. The applicants could apply to any number of Questbridge’s 39 partner schools. On Oct. 19, Questbridge informed a third of the applicants that they were finalists, cutting the pool down from 15,606 to 5,759. 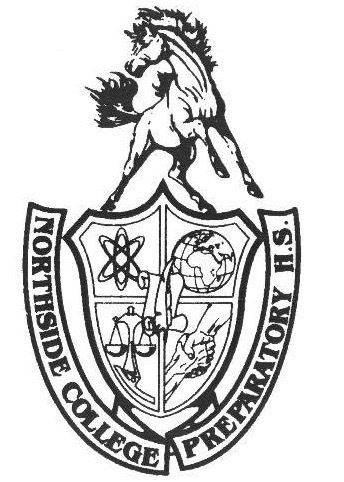 On Dec. 1, Northside found out that four students had received matches from the schools they chose. Daniel Agbeo, Adv. 806, Osama Hassan Adv. 801, Jennifer Puis-Alonee Adv. 807, and Rene Rodriguez, Adv. 800, were matched to one of the schools they applied to. Agbeo will be attending Pomona College. Puis-Alonee and Hassan will be attending Northwestern University. Rodriguez will be attending Dartmouth College. When asked about the advice they have to offer those planning to apply to Questbridge in the future, they all said that Questbridge was a very hard process, and that, although all of the required work was draining, the result was definitely worth it. “In order to lighten my workload, I regularly talked to teachers and had them read my essays and look over my work. Make sure you get your recommendations early,” said Agbeo. That means that is is never too early to make connections with teachers. The scholars also warned about applying to schools simply for the sake of applying, even if they do not have what one is interested in. “Due to the fact that Questbridge is Early Decision, if you’re matched with a school you don’t absolutely love, you’ll be stuck there for four years,” said Hassan. The four are more than elated to be attending their respective colleges.